I’m mad as hell, and I intend to do something about it. For years, I have been witness to the increasing availability of drugs to teenagers in the U.S. I have gone on the air and in print calling for parents to be more aware of drug abuse and the dangers that can develop from it. We have seen numerous scientific studies that highlight the physical damage – both to our brain and to our cardiovascular system – from drug abuse. According to a study from the Centers for Disease Control and Prevention in September, deaths from drug overdose and abuse now exceed deaths from motor vehicle accidents in the U.S. The statistics revealed the first time that drugs surpassed car accidents as one of the leading causes of death since the government first began tracking drug-related deaths in 1979. These facts also revealed the ever-growing trend of drug abuse among American adults, and more importantly, teenagers. According to reports, teen drug abuse has been on the rise over the past decade. A report released Wednesday by The Partnership at Drugfree.org showed that “heavy” marijuana use among teenagers is up 80 percent, with one in 10 teens reporting that they use the drug at least 20 times a month. An even more disturbing trend is the rise of prescription drug abuse. 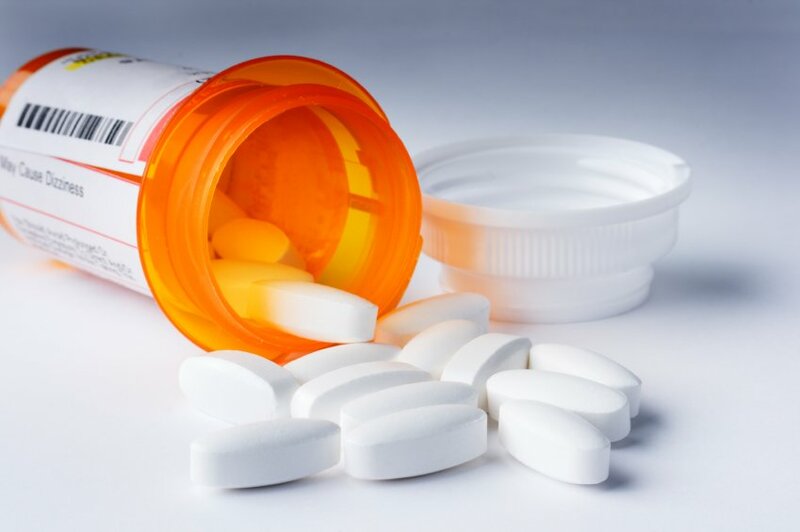 According to the National Institute on Drug Abuse, prescription and over-the-counter medications are some of the most commonly abused drugs by high school seniors. A survey of teenagers by the CDC in 2009 found that one in five teenagers had taken prescription drugs without a doctor’s prescription. Some of the most commonly abused prescription drugs include pain killers, with over 5.1 million people taking them non-medically in 2010. According to the National Information Center for Pain Medication Addiction, over 40 million painkiller prescriptions were given in 1991. That number jumped to over 200 million in 2009. That is an enormous amount of painkillers for a country of just over 300 million people. The reason for all of this abuse: We’ve become too relaxed on the flow of these drugs. Let me tell you a story that happened to me recently. Several months ago, I started to get phone calls from a major pharmacy chain asking me for my approval for a painkiller prescription. According to this pharmacist, it was the third time I had called in a prescription for this painkiller that week, and they needed to verify it. To my surprise, this prescription was written to a person I had never heard of before. It was a man’s name, which was even more suspicious since I am a gynecologist and don’t treat men. When I asked the pharmacist why I was not notified sooner about this painkiller prescription, he told me they did not have to notify me. It appears that anybody with the right ID numbers can call on the phone impersonating my identity and can order any of these narcotics over the phone. When I called the pharmacy board of the state, they agreed that there’s no mechanism of checks and balances when it comes to prescriptions filled over the phone as long as the information given is correct. So it seems that physician identity is alive and well. I notified the police authorities about my identify theft, and thankfully, they were very responsive – and successful – in setting up a sting operation to catch this individual buying weekly narcotics with my information. While my story ended well, it is indicative of a lack of control over the supply of prescription drugs– which, in my opinion, has led to one of our country’s biggest problems. I have also become aware that there are websites that teach people how to falsify prescription information from doctors to get access to these medications. We have to get better control of the flow of these drugs or there will be enormous consequences. We have to have better partnerships with the pharmaceutical industries that manufacture these drugs, and we have to appeal to state legislatures to create safety barriers to help control teen drug abuse. And I intend to do something about it.